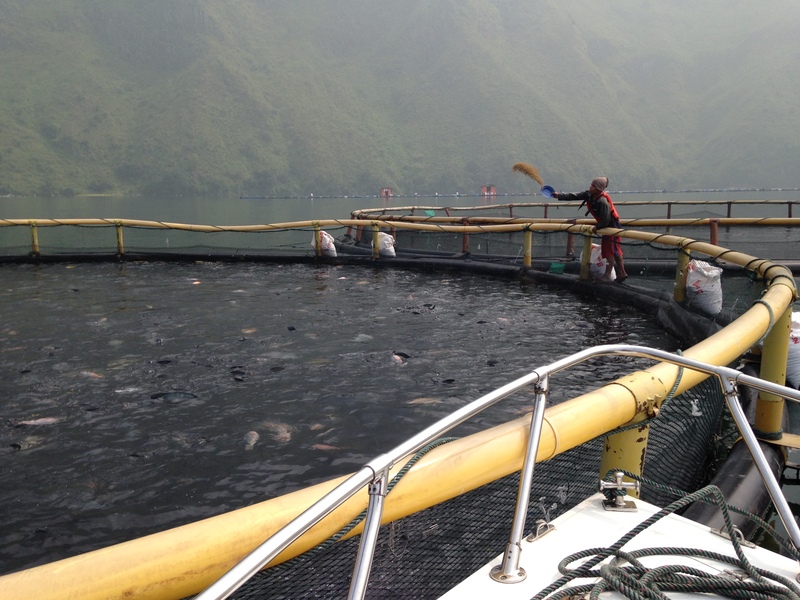 Site Review during Due Diligence of Regal Springs Tilapia Grow-out Operations on Lake Toba, Sumatra, Indonesia. 2016 Guyana. Overseas Private Investment Corporation (OPIC, an international development financing arm of the U.S. government (opic.gov)). Provided the Due Diligence for OPIC regarding the consortium of CARANA and related entities that constitute CADP (CARANA Agriculture Development Partnership). CADP sought to produce the fish tambaqui (Colossoma macropomum), tilapia and habanero peppers, for export of processed fish and pepper products from Guyana to the United States. The fish were to be semi-intensively pond-cultured to market size. The combined project was presented as US$35.5M. CADP sought $10M in debt financing from OPIC. The AquaMatrix Team of Dr. Woiwode, Dr. Fitzsimmons and Dr. Jensen assessed the risk of the venture for OPIC. 2015-2016 Indonesia, Honduras, Mexico. ORIX (Japan). Provided Due Diligence for ORIX, who was interested to invest in or acquire the world’s largest tilapia producer, Regal Springs Tilapia, with annual sales greater than US$275M. Reviewed hatchery, production, processing and feed production operations on Sumatra and Java, Indonesia; Honduras and Chiapas, Mexico. Assessed the technical performance and provided detailed reviews of all sites. Developed SWOT analyses and identified Key Performance Indicators. Provided a conceptual action plan to remediate the observed weaknesses of the hatchery system. This assessment of the overall technical risk of the venture subsequently led ORIX to acquire ownership of Regal Springs Tilapia. 2014-2015 Ghana, West Africa. Overseas Private Investment Corporation (OPIC). Provided the Due Diligence for OPIC regarding AquaPrima-Ghana (APG)’s proposed $9.5M intensive Tilapia grow-out facility and supporting hatchery, utilizing gravity-fed water from the Upper Volta Reservoir for flow-through intensive pond culture of monosex tilapia. Dr. Woiwode and Dr. Fitzsimmons were Principals on the AquaMatrix team that assessed the risk of the Tilapia venture for OPIC.